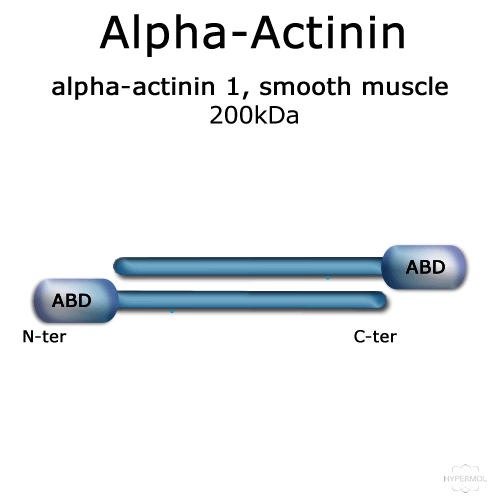 Native α-actinin from smooth muscle has a molecular mass of 200kDa and forms homodimers (2x100kDa). 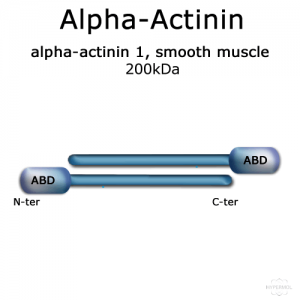 Actin cross linking protein. Kd actin-binding = 1-5µM. 50mM NaCl, 20mM Tris pH 7.4, 0.5mM DTT and 3% disaccharides, when reconstituted with 100µl ultrapure water to obtain a 1mg/ml solution. >97% by scanning densitometry from Coomassie G-250 stained SDS-Gels. Purified from turkey gizzard muscle (IEX, SEC). Upon reconstitution the product is stored on ice. 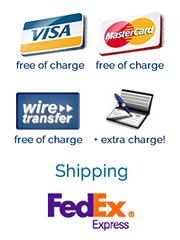 This product can also be stored as a glycerol stock at -20°C. Avoid repeated freeze / thaw cycles. Real-time dynamics of emerging actin networks in cell-mimicking compartments. Deshpande S, Pfohl T.; PLoS One. 2015 Mar 18;10(3):e0116521. doi: 10.1371/journal.pone.0116521. eCollection 2015. A high molecular mass protein isolated from chicken gizzard: its localization at the dense plaques and dense bodies of smooth muscle and the Z-disks of skeletal muscle.